This is a lovely little pouch with two separated zipper compartments for your phone, money and keys etc. With a strap to hook onto the pouch, you will always have your essentials at hand. The finished pouch is 8″ wide by 5 ½” high. We love this double zipper design. Instead of having everything in one bag with your keys scratching your phone, now you can have one bag with two separate zipper compartments and keeps things organised and easy to find. 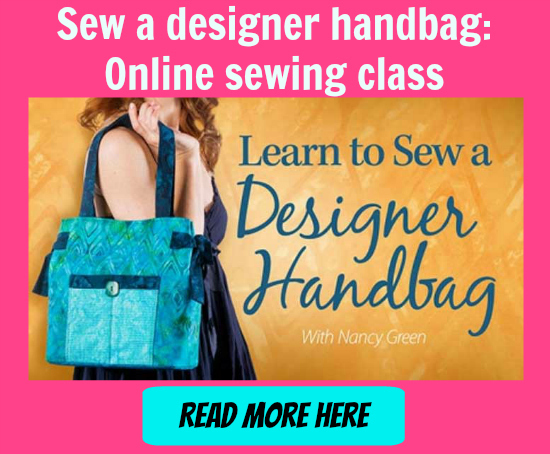 Handy, smart and not difficult to sew. This pattern is rated for beginners by the designer. This tutorial is courtesy of Teresa Lucio Designs.